Well...the world continues to remain a small one, brother Eddie. My parents live in West Chicago. I am there every weekend. Geneva just west of County Farm rd. Then we must make plans for you to visit. Chris from Chicago likes this. There were at least two stores that preceded it (Pravda in the 80s, Rave in the very early 90s), plus another that succeeded it (I forget the name). That makes sense. I only started looking for different stores in the mid 2000s. One of my only complaints about living out in Geneva is that they roll the restaurant sidewalks in around 9 pm. I mean, I'm already in my pajamas at 8 o'clock...but still. Chicago gets La Pas, while us far western suburbanites get Salsa Verde (just opened this week on 31 in Batavia - just down the street from me). Tri-cities represent! Chris from Chicago and EddieMann like this. You should see the rest of the house. Its like a museum. I lived in Chicago in '82, but never heard of this place? Looks like my kind of place! That guy is a freakin' GENIUS! Nice. I totally want that Rodney lp. Love the basement record store museum! On a side note, if anyone is looking to get anything repaired I highly recommend stereo rehab on Devon in Rogers park. They were fantastic. I took it to another place and basically just made a donation because they didn't fix anything. After fighting with them, I gave up and took it to them. I didn't even realize it was there. It's just to the side of audio archeology which is another great place. Good to know. I have an Empire TT over at Anthony's on Broadway, and I suspect the same thing is going to happen. I remember an Appletree Records down in Normal from my college days at ISU. Were they a chain, or is it a coincidence? Just know that it may take a while since they are really busy, but they told me that up front and are really easy to get in contact with for updates. I think they were a chain. 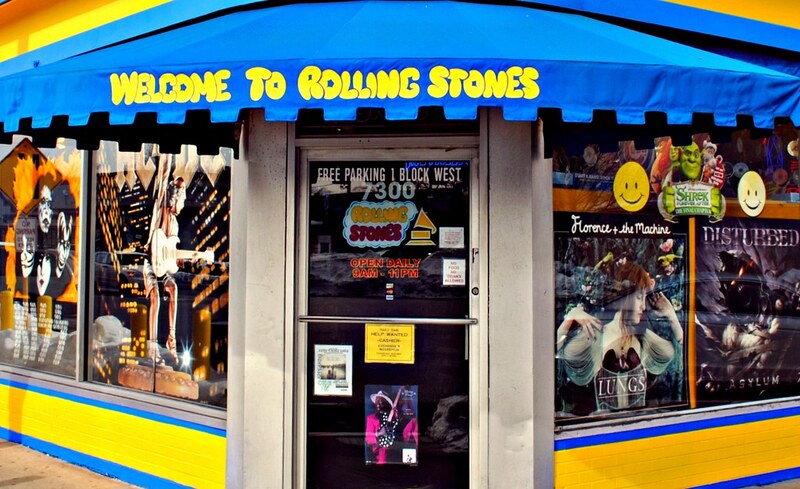 Late to the thread but it is a modern miracle that the massive "Rolling Stone Records" in Norridge has survived. I would have thought 10 years ago they would have shut down. Good for them! John Porcellino, reverberationmusic, jamesc and 1 other person like this. I am late to the conversation but how about Rose Records (big store near "6 corners" on the northwest side) that closed early 90's. That was a small chain that I don't think was outside the Chicago area? I think it is obvious, these stores are becoming more than rare, lets support them while we can! There is also a little record store called Raffi's Record Riot near the corner of Montrose and Central on the NW Side. I think he used to set up a table many years ago at Beatlefest Chicago at the Hyatt O'Hare each August. Small store but good stock! Moved to Chicago in 1997. Of the stores now gone I used to visit I see Quaker Goes Deaf and Dr. Wax have yet to be mentioned. No photos, sorry. Also across from the Portage Movie theater on the northwest side was Square Dance Records (later Deluxe Music)- they specialized in having old and rare 45's. The owner used to say if the single hit the top 100 singles charts from 1962-80's he would have the 45! 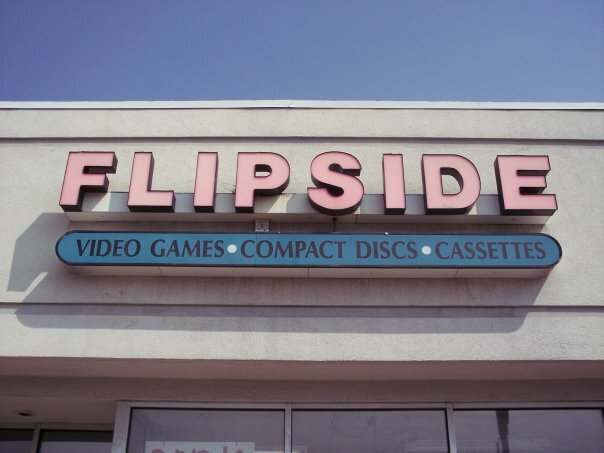 A few Flip Side music stores were around as well. I used to go to the Lincolnwood location on McCormick just outside Chicago. They always had the $10.99 CD guarantee price! saturdayboy, jamesc and EddieMann like this. Would it have been at 1656 W Howard maybe? Howard and Paulina? If so, that would've been a place called Robert's Eyes & Ears in 1980 (from the 1980 telephone book). 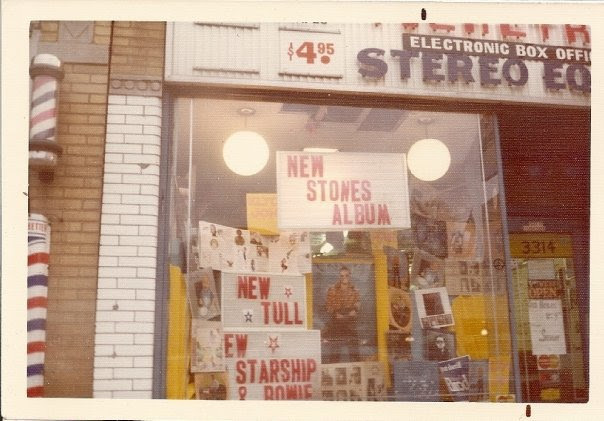 There was a small record store on Howard Street just east of the El when I was buying my first records in the early 70's. i can't remember the name. Does anyone remember this place? When I was in 8 th grade we moved further west and I bought almost all of my records and concert tickets at the Flip Side on Foster. That's the place. I'm surprised it would have still been there in 1980. Thanks. .... but I need more! I am most MOST especially looking for images of the incredible bootleg music video store Video Beat, which was on 2616 N. Clark St., Chicago, IL 60614, and is now a place called Dukes. That place was my favorite ever - imagine a brick and morter Youtube, filled with bootleg contert videos!! I would love to sculpt the store front, (And interior if I can find enough images!) it's the one I most want to recreate! There are others I'm looking for, but I'll leave it at that for now - even if you don't have pictures, would love to know if anyone remembers Video Beat! Any help would be huge, thank you again everyone! airstreamdriver, jamesc, Chris from Chicago and 3 others like this. I mentioned Vintage Quest a page or so back....found another similar place. There's an art gallery on Damen and Foster, Morpho Gallery, that has a big collection of vinyl. He's only open a few days a week (Friday and Saturday?) but it's worth a visit. He had some amazingly quirky things. Like Vintage Quest it's not a complete store. More the place to dive for some gems. I need to venture out to some of the farther 'burb stores, or see if there are any in NW IN nearby. Also, there's a store at Elston, Belmont, and California (actually ON Elston) that carries vinyl, books, and comics. It stood out to me, as the building was the drug store in our neighborhood when I lived there 50 years ago. Eddie, I'm pretty sure you're talking about Bucket O' Blood. That's it! I didn't go in as it was closed. Anything there worthwhile?